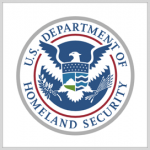 The Department of Homeland Security‘s science and technology directorate has launched a new project to repurpose, modify or integrate existing commercial and government analytic tools into border security platforms. DHS said Friday it aims to produce automated software to increase the amount of available data for border situational awareness missions through the Adaptive Sensor Analytics Project. The department intends for the automated software to operate 24/7 and filter large volumes of satellite imagery data to help border patrol agents identify potential criminal activity. “By developing these capabilities… we will be ready to fully exploit the robust commercial satellite constellations when it is realized in the coming years,” said Jon McEntee, acting director of the S&T borders and maritime security division within the Homeland Security Advanced Research Projects Agency.